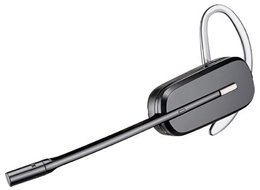 The Plantronics CS540 is currently the lightest DECT headset on the market and offers outstanding performance with a range of over 100 m (328 ft) sophisticated sound technology, and adaptive power system for longer talk-time and standby. 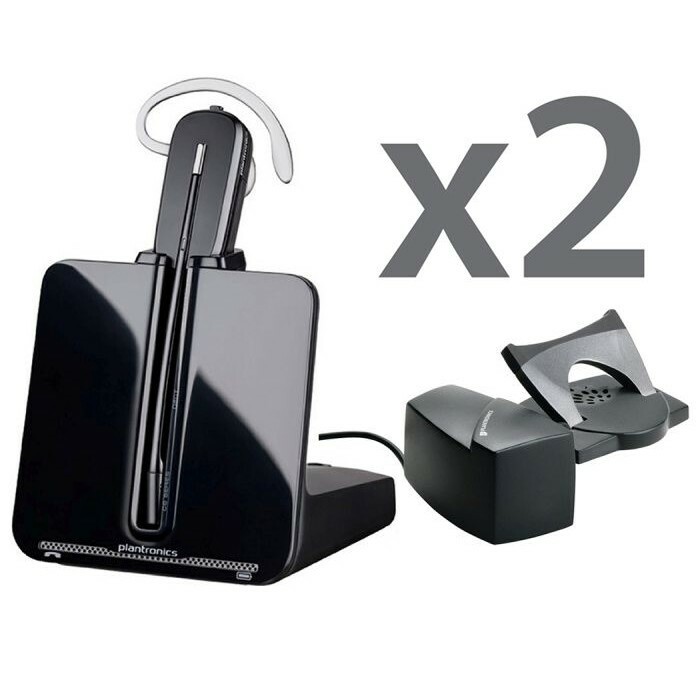 Compatible with most business phones the headset can be used to answer and end calls remotely when used with an Electronic Hookswitch Cable or Handset Lifter (sold separately) for added convenience. Extremely compact and comfortable to wear, as a convertible headset, the CS540 can be worn over the head or over-the-ear to suit individual preference. With up to 7 hours of continuous talk time, the CS540 performs dependably in busy office environments whilst affording the flexibility and comfort to move away from your desk. And with advanced CAT-iq wideband audio combined with enhanced DSP, and noise cancelling microphone, the CS540 ensures you can hear and are heard on every call. The style, versatility and high-spec design of the CS540 will provide long-term performance for any office professional.